Euphoria sepulcralis sepulcralis (Dark Flower Scarab). Size: approx. 10 mm. Photo: 09/02/11, 10 am. 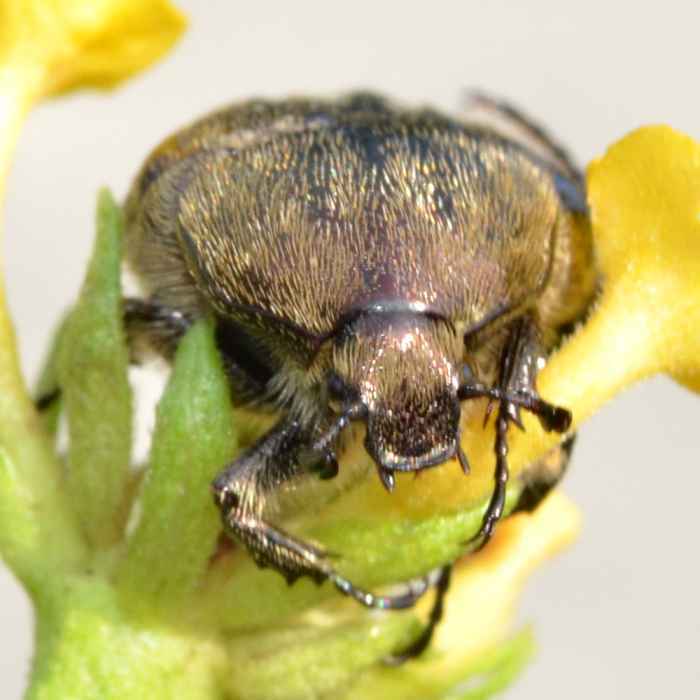 I found this beetle on a lantana flower. After moving the flower around to get a better photo, the beetle fell off and pretended to be dead. 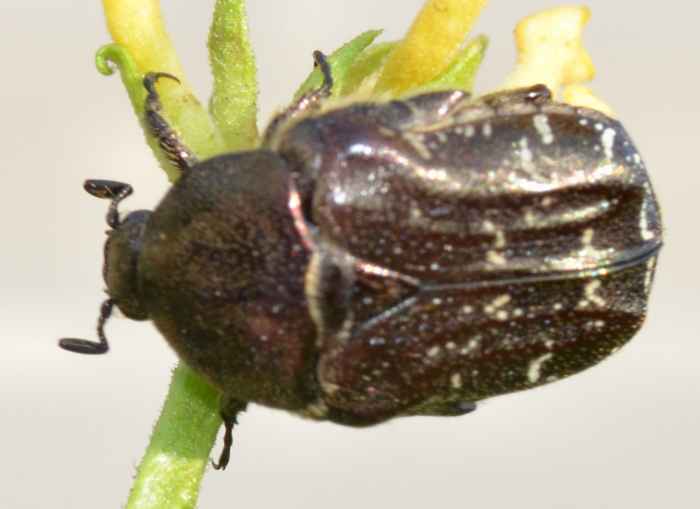 It is a Dark Flower Scarab (Euphoria sepulcralis sepulcralis). There are four recognized subspecies. 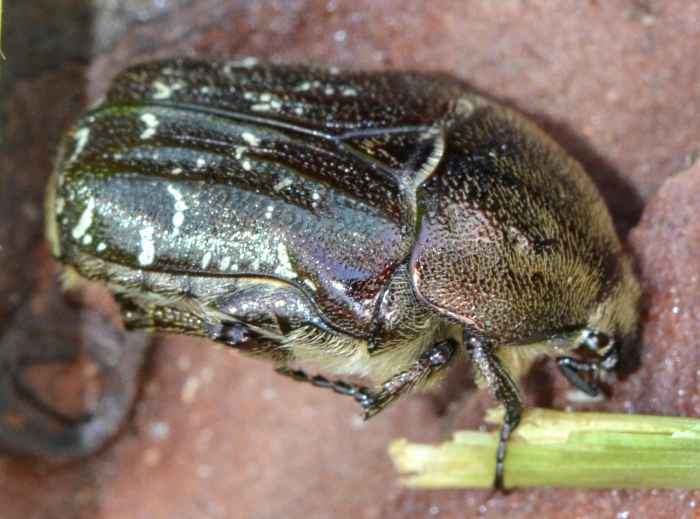 The UF site refers to it as one of the "most frequently submitted" beetles.